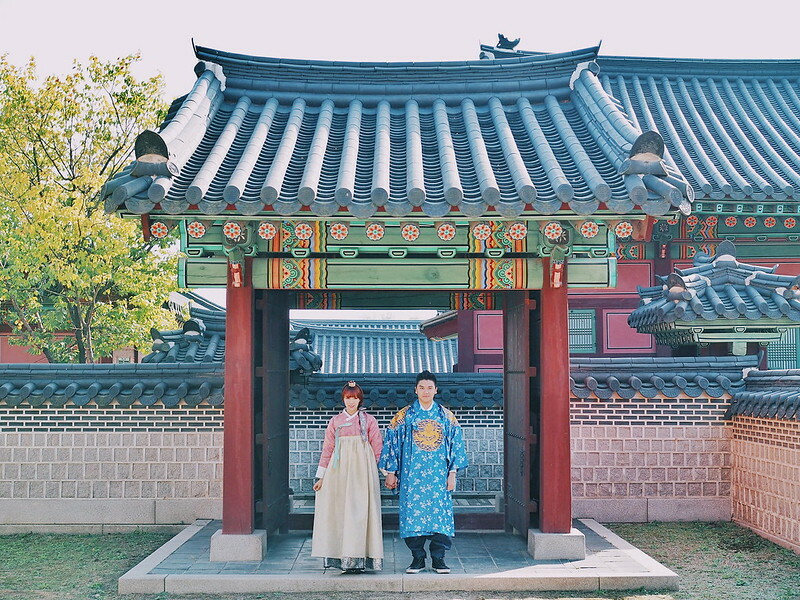 SHENNYYANG - Singapore's Lifestyle & Travel Blogger: Oneday Hanbok to Changdeokgung Palace! The only down side about this is that you're only given two fitting chances. 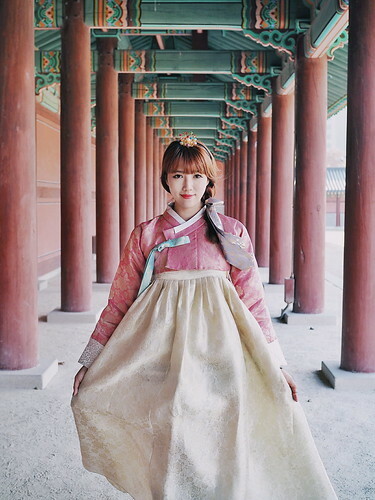 I was lucky tho, I managed to try 3 different Hanboks, probably because I was the only customer in the shop at that point so they weren't too busy. 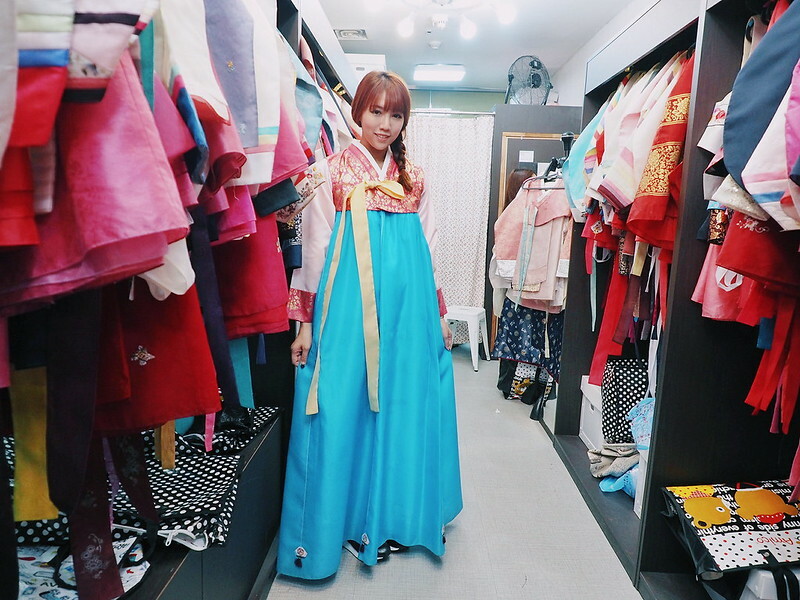 So you really got to choose your Hanbok wisely before trying them on because once the two fitting chances are over, you gotta top up an additional 2000 won for another fitting! I kinda know what I had in mind so it wasn't really a tough choice for me! 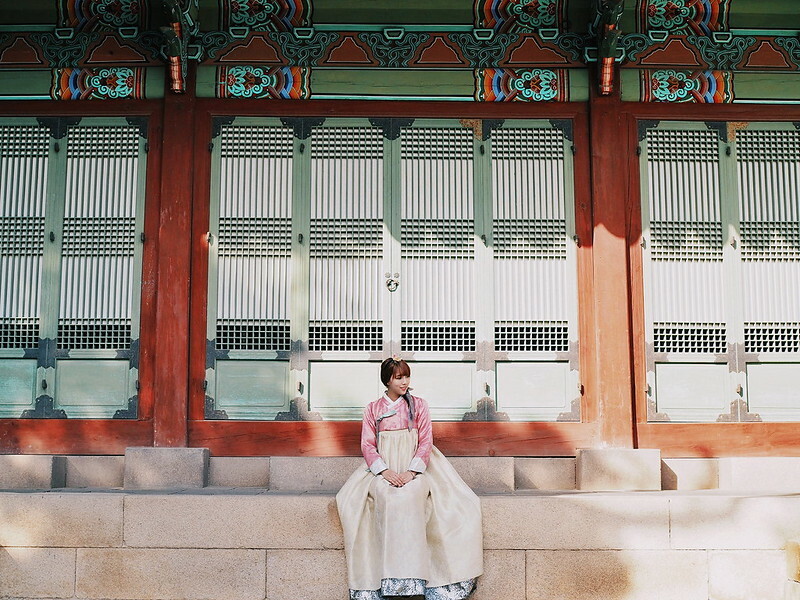 * * * Once you are all dressed in your Hanbok, there are a few places you could go around to get your photos taken - Gyeongbokgung, Changdeokgung, Bukchon Village, Namsangol Hanok Village etc~ For me, I decided to go with Changdeokgung! 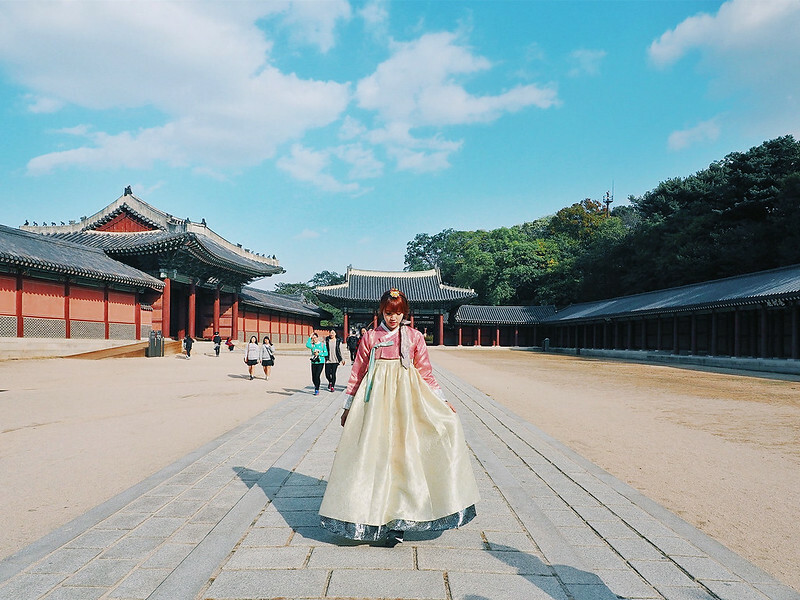 Although Gyeongbokgung is the main palace, I honestly prefer Changdeokgung hands down. 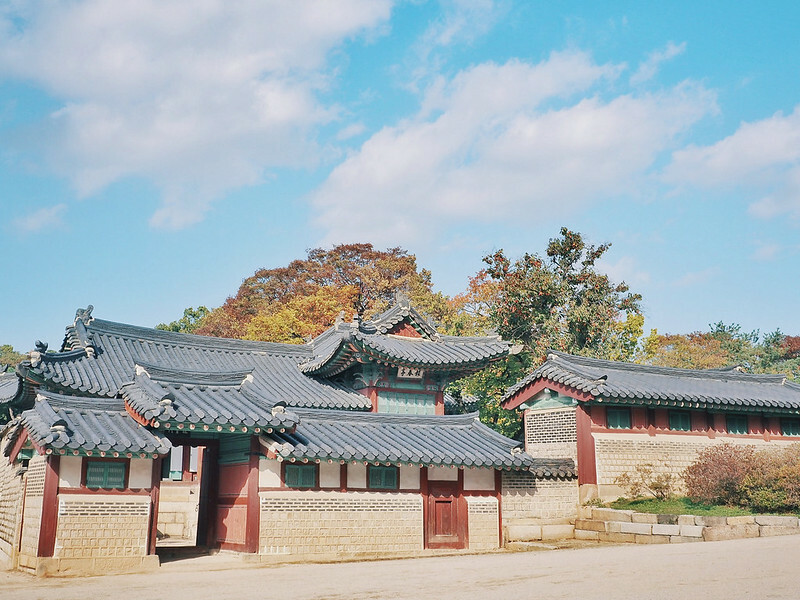 It is less crowded (so you can have uninterrupted shots) plus I think Changdeokgung is alot more scenic - it has like little gardens/trees and all! 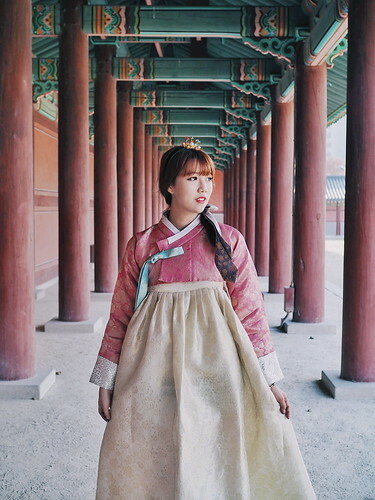 I tied my hair plaits myself and the staff from Oneday Hanbok very kindly helped me with the hair accessorie (the grey cloth thingy). 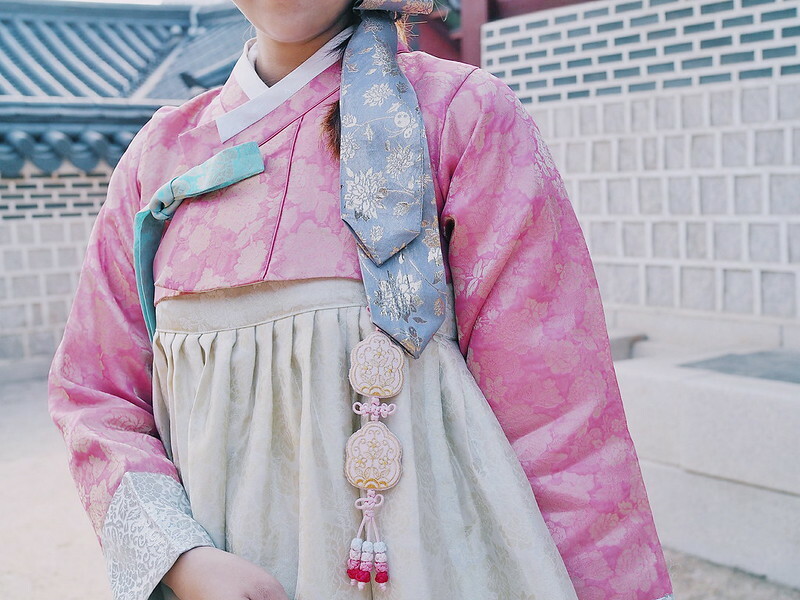 And also, how cute is the charm hanging off the Hanbok!! Love it!! Got this hairband too to match my outfit, isn't it damn cute!!! Such a wonderful places to visit. 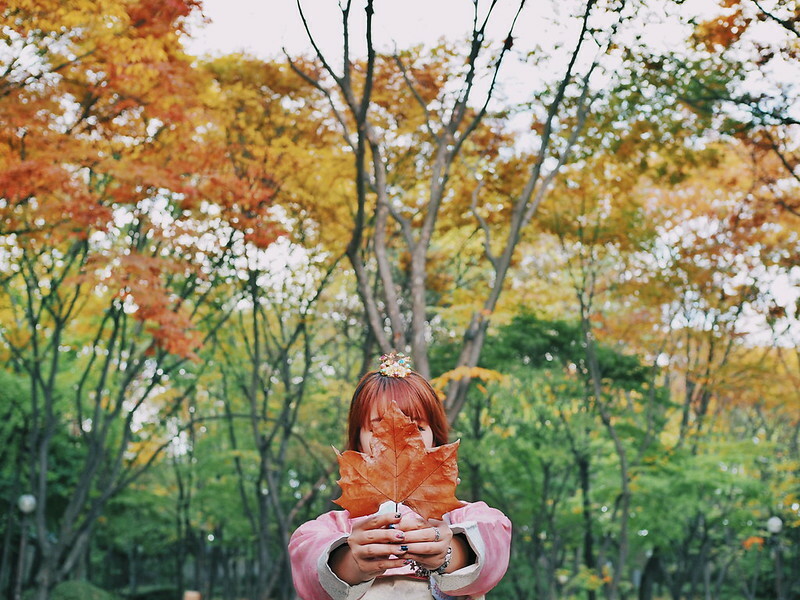 Thank you so much Shenny, for sharing these photos. 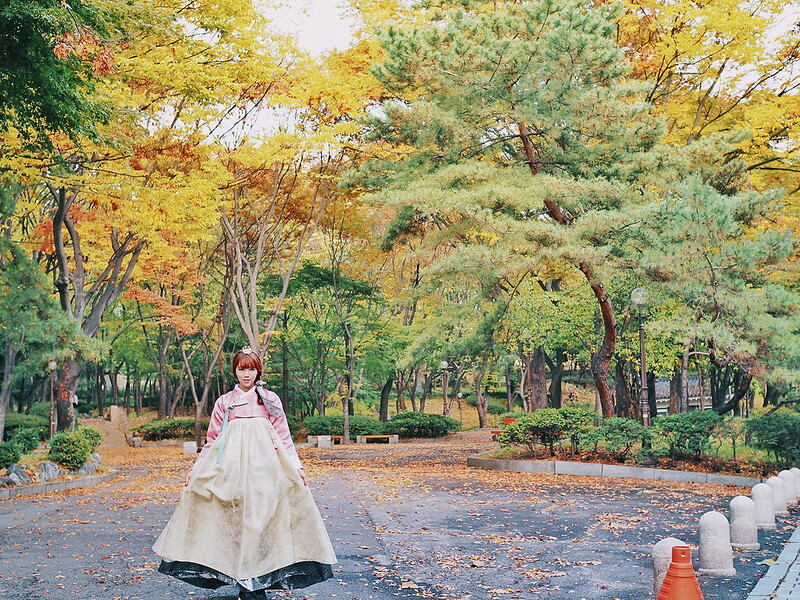 I think traveling to an unknown place is always a fun.